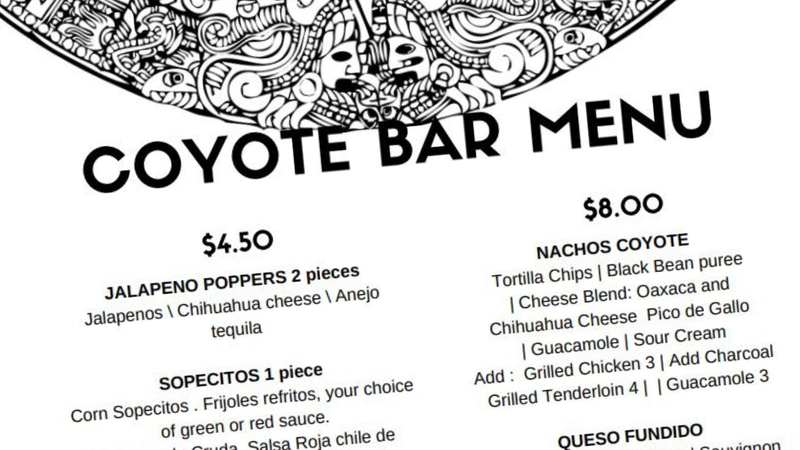 Coyote Crossing has just introduced a new bar menu that is available all day. All the items are either $4.50 or $8.00, plus you can enjoy Miller Lite, Bud Light and Corona Premium for $3.50. Note that this menu is only available at the bar. of green or red sauce.